Is Pixpa fit for you? This review will help you to take the right decision. 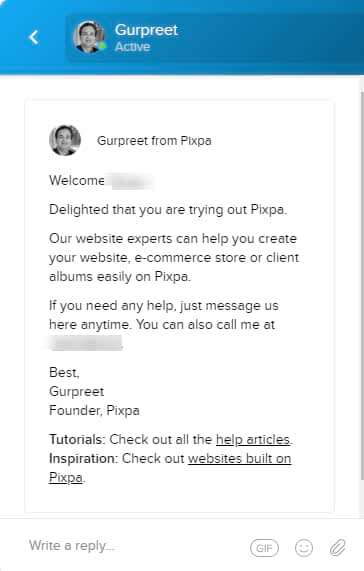 Pixpa is not a general website builder. It is specifically designed for photographers & artists. So if you want to build a photography website, then you should consider Pixpa on your list. Visit Pixpa & Try For FREE! Let’s see Whether Pixpa gets 5 stars or 1 star. 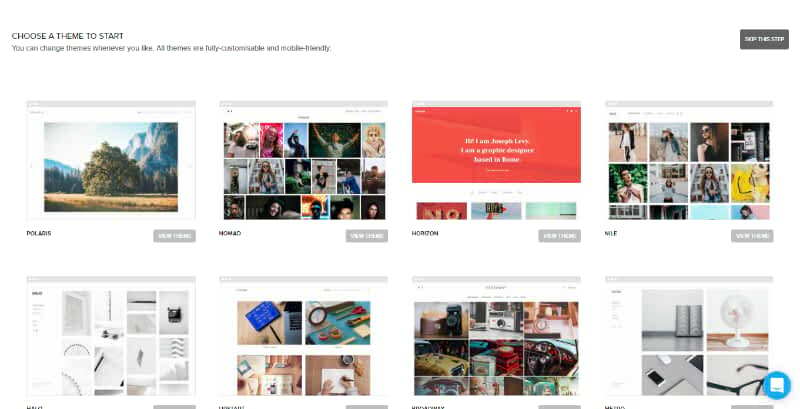 Which type of photographers Using Pixpa Website Builder? Is Pixpa Website Builder Easy For Your level of skill or knowledge? In colleges and graduate school Pixpa showing a strong presence. In the workplace, Pixpa is used more than home & school. This indicates Pixpa is getting its customers from high authority places. This is a good sign. Pixpa is popular in India, USA, Singapore & UK. Is Pixpa Really a Good Company? Pixpa is a new startup launched in 2013. Within a few years, it gained 10,000+ customers. Now Pixpa is one of the top 10 Online Portfolio Platform for Photographers and Artists. Let’s see how many people visited in September 2018. 100k visits per month. This is huge. Only a few websites get such a massive traffic. This shows Pixpa is a popular company. Pixpa Themes – Are Those Templates Photographer Friendly? There are 38 templates for your portfolios. When you signed up, you will see all the themes and you need to select the one. After selection of the theme, Pixpa site builder will load. You can edit the theme. You can change the theme without losing your work. You can view on the tab or mobile size while you edit. You can get a lot of site settings to customize & operate your site yourself. If you feel difficulty, the Pixpa support team will help you. Unlike general site builder, Pixpa specifically focused on Photographers. So you will get a great support directly from photography web designers. Are all themes mobile friendly? I tested an example of Pixpa built website. No loading issues on mobile & perfectly fit for any sized screen. I tested the Pixpa’s Polaris theme. Here is the result. Everything got Green Grade except the cache. Pixpa Features – Can You Build Your Dream Website? Pixpa included all Portfolio related features. Photographers get all essential tools. You can add unlimited photos and unlimited galleries up to your storage plan reached the limit. You can create a gallery for your clients. You can set up a password and your client can make favorite or buy any photos at any time. You can set up a photography store. 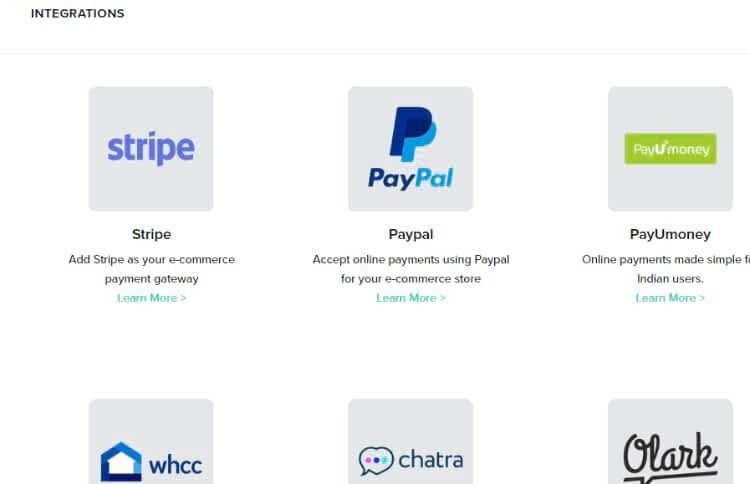 there are many payment gateways available. So you no need to worry about the online payment processing. Pixpa app store (Integrations) included all essential apps for photographers. 46 apps are available for free. Using those apps, you can install so many features like customer support chat, social commenting system, connecting printing services for your site. Pixpa included an inbuilt store for you. You can sell anything from your site. You can manage your clients easily. You can see all messages, comments & everything in a single dashboard. So you don’t forget or miss anything. You can set your calendar events, email marketing, building client relationship and more things you can do. You can use Google Analytics to measure how much traffic you are getting, which page is more popular, how visitors are interacting on your website, from which page to which page visitors are going and more. This will help you to improve your website. You can set image compression levels like 80% or 75%. So whenever you upload, the image compresses automatically. But I don’t recommend this. Because the Pixpa image compression is not good enough. I already tested. 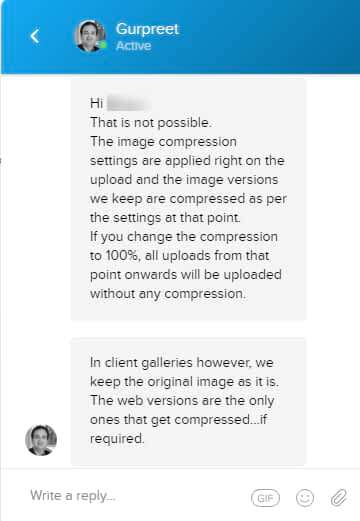 Pixpa image compression is not the lossless compression. That means the image quality will decrease. 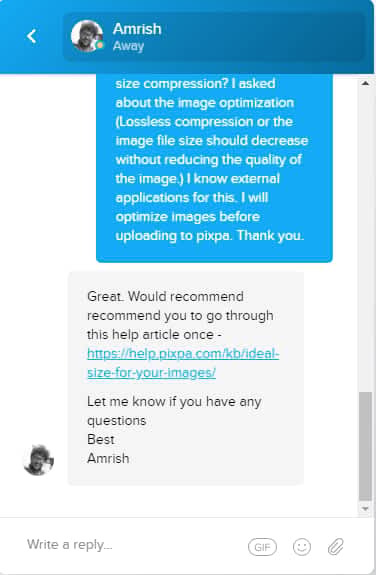 I also asked Pixpa support team about this. Here is the screenshot of the reply. You can connect the Fotomoto store. Add Disqus commenting system to increase user engagement. You can include any external script on your site head section globally. 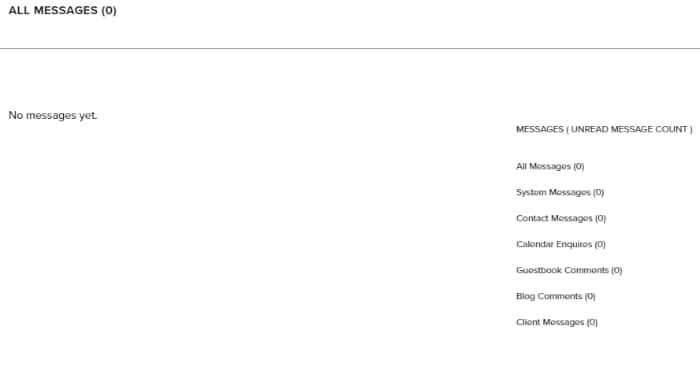 You can also add scripts to the body section, footer and many more functionalities you get on the site setting. 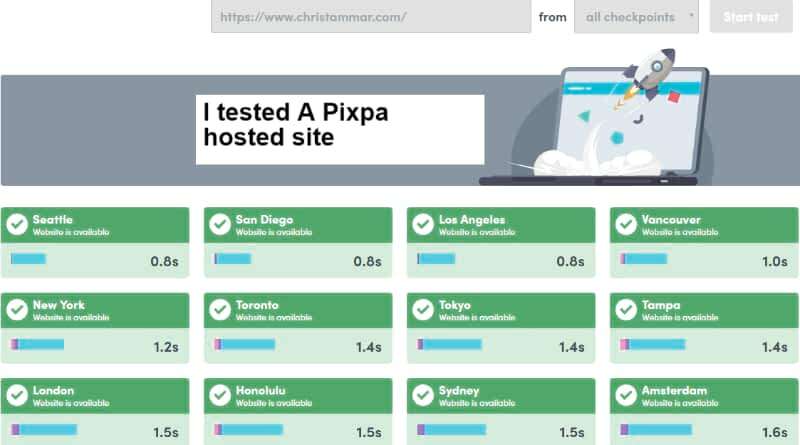 Pixpa Hosting – Does It Run Your Website In a Healthy Way? Let’s check Pixpa Server availability & speed on different locations. I picked a random website that is hosted on Pixpa. Then I checked its server availability & response time. 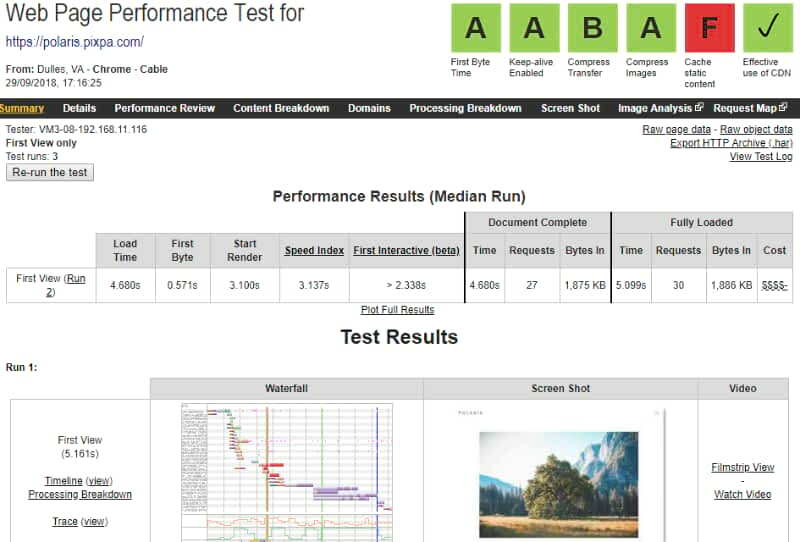 From the above test shows Pixpa hosted site’s server available on all places & it performed well in the USA regions. 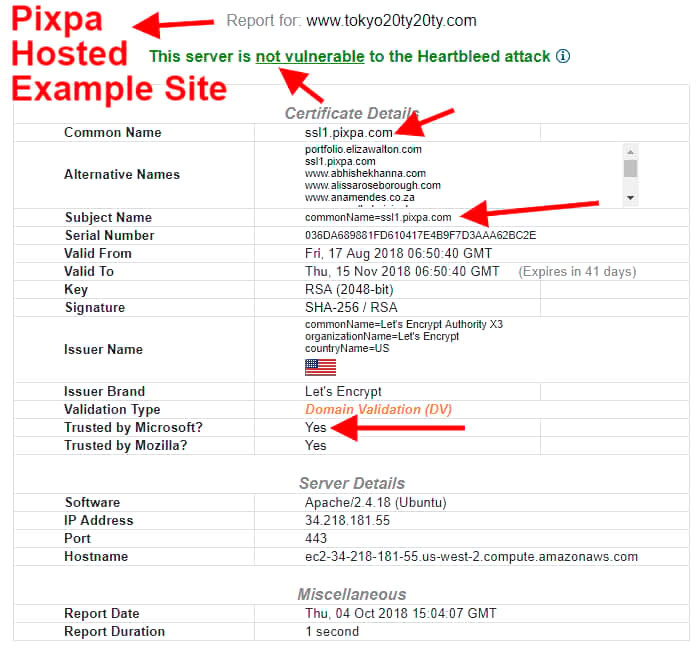 Is Pixpa site’s hosted server secure enough to protect your website from Malware & hackers? Pixpa hosted websites are secured. Domain – They don’t provide your domain name. you should buy it from GoDaddy & connect to your hosting. don’t worry. If you don’t know, then Pixpa support team is very friendly & they will do everything for free. SEO – Automatically your site will index on Google & there is a separate site setting for SEO. You can add your targeted keywords. Security – They provide you with a free SSL certificate. Your site connection will secure. Also, I checked the heartbleed vulnerability test to check the security level. Here are the details. Everything is fine with Pixpa security. Pixpa Support – Can You Get The True Help? Pixpa customer care available for 24X7. So you no need to worry about your time zone. I asked several questions. I got answers within 2-3 minutes..! Pixpa support is great. You no need to doubt about it. They even give you personalize support to build a great website. Unlike general site builder, Pixpa specifically focused on Photographers. So you will get a great support directly from photography web experts. They also provide well informative guides. Pixpa provides you tutorials. So you don’t get confused. Once you signed up, they provide you with a phone number for help. You can call personally to solve your problem. They provide unlimited free help. I didn’t mention the phone number here because the number may vary person to person. You can chat or email to support@pixpa.com or you can request a call or ask for the number. The support team is user-friendly and flexible. Pixpa Reviews By Web Designers, Masters & Me..! We invited many web designers in our network to vote in my websitebuilderly.com for helping people to find the best website builders. They reviewed & voted every website builder on our list. Here is the final sum for Pixpa. You can add more storage at any time. Print Photos & deliver using WHCC or Fotomoto apps. Your clients can order their photo to print on their mobile case, canvas, many and many more. WHCC provide Prints Proofing Cards, Wall Displays Books & Albums Boxes, Cases & Packaging Display Products Other Products Backdrops Sample Sets. You can utilize all the benefit on Pixpa. You can connect Shopify to Pixpa. No commission will take Pixpa for the payment transaction. 46 Apps/integrations for different purposes like payment, promotion, email marketing, support, booking, scheduling, calendar events, stats and more. You get 15-day free trial. no credit card required. Pixpa Vs Squarespace – Which One Photographers & Artists Prefer?